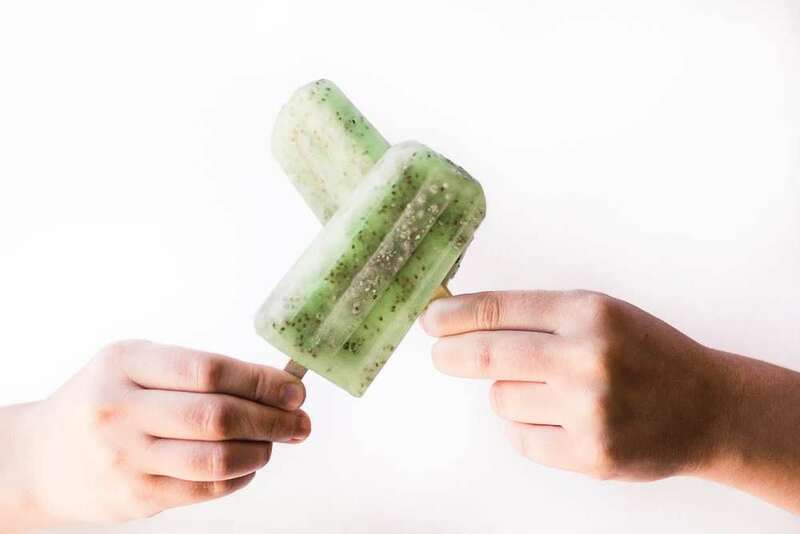 Chia Limeade Popsicles ~ file this 2 ingredient frozen treat under easy, healthy, refreshing, vegan, and of course, delicious! Stir the chia seeds into the limeade and stir well. Refrigerate for 3 hours to overnight, to allow the seeds to expand. Stir occasionally to insure that the seeds get well dispersed. Fill the popsicles molds, insert sticks, and freeze for several hours or until frozen solid. Note: I don't use the top that comes with my popsicle mold because it can get stuck if any of the sticks aren't perfectly perpendicular, or shift. I cover the filled mold with a 'lid' of foil, and then insert the sticks. You can also do away with the foil and insert the sticks after the popsicles have been in the freezer for an hour or so. The mixture should be thick enough to hold the sticks upright. Put the lime juice in a pitcher. Heat 1/2 cup of the water plus the sugar in a small saucepan on the stove, stirring, just until all the sugar is dissolved. Let cool. Add the cooled syrup to the lime juice, and then add the remaining 2 cups water. Chill and serve over ice, or make popsicles! Note: add more lime if you want it tangier..